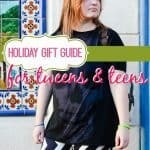 It is safe to say that if you have kids, your holiday shopping list consists of items to buy for them. You probably have Grandparents, Aunts, and Uncles all asking "What does little Johnny want for Christmas?". Maybe you are a little stumped yourself because honestly what do kids want? 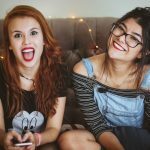 They like so much, but what is something they will love and enjoy for the long term? 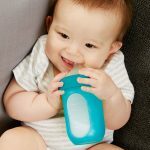 Look no further as we've found the Top Toys of 2018 for you! 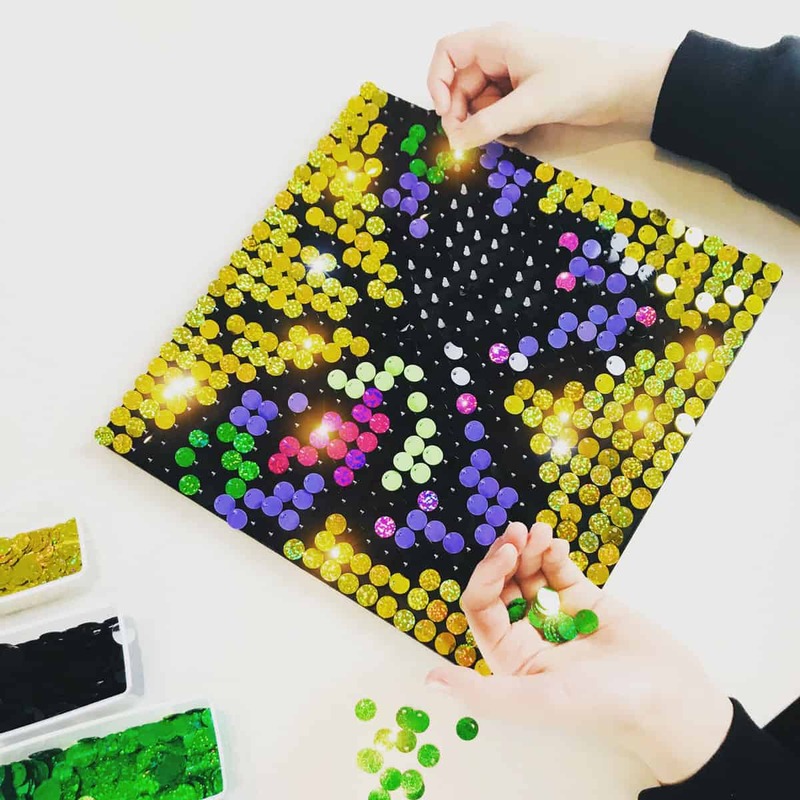 Let your favorite little mini-humans express themselves through creativity and play with Nesstoy! 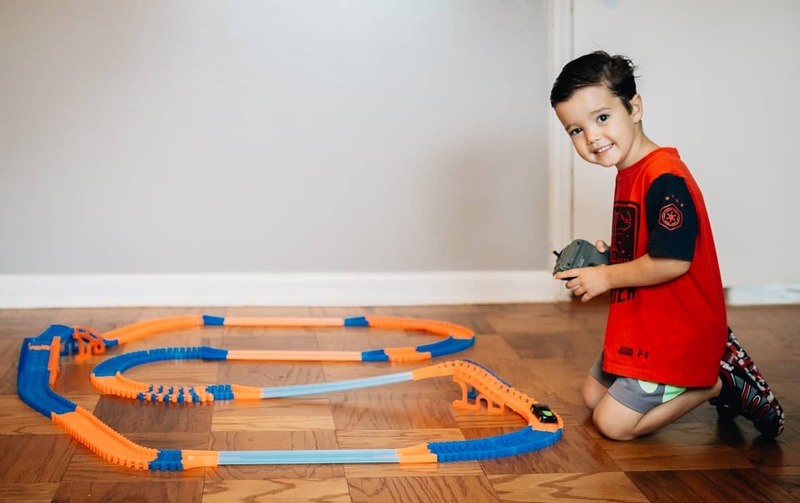 Nesstoy represents brands like KidiRace, Kidzland, and more. 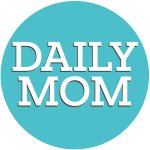 As a toy manufacturing company, they have your child's individuality and playtime in mind. Ready, Set, Go! This phrase still has its purpose, fun, and excitement when it comes to racing! 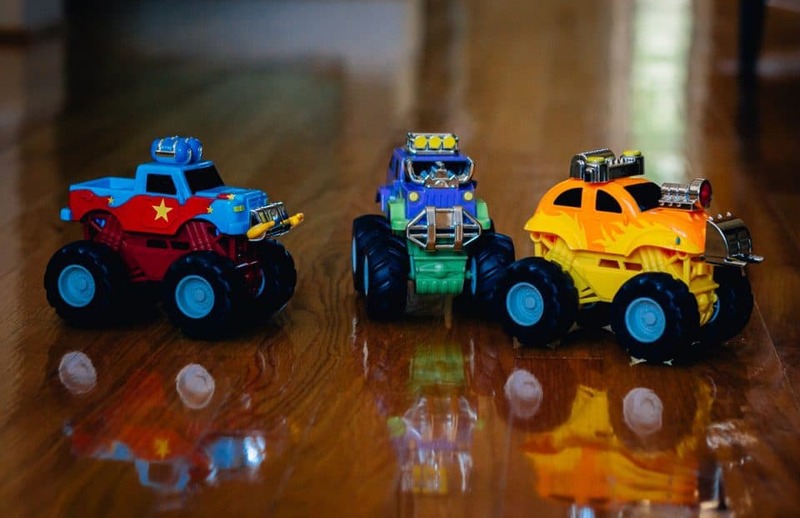 With this set of four RC Bumper Car Series, it's the perfect set of racing bumper cars to create the fun and excitement of racing. The easy controls allow your kids to step away from the digital world and interact with each other with these bumper cars. They'll enjoy the extra 'bump' fun when the drivers get ejected from their cars! Race, bump and be the last driver standing. Good news, mom and dad, they come with rechargeable batteries. The last thing you need during this holiday season is to spend a small fortune every other week on batteries! 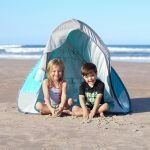 Now their playtime fun is rechargeable, tech-free, and interactive for hours to come. After all, who doesn't love Bumper Cars?? Give your little one a look into the big world around them with the Bunny Binoculars for Kids. She will explore the world around her a little closer than usual. Go on a nature walk, play I Spy, or simply say, go outside! 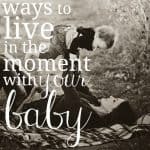 Give them the gift to explore their world sooner rather than later. The Doctor kit is a classic kit loved by millions of children. With a sturdy and durable case, this 12-piece set featuring all the standard medical apparatuses has everything your child needs to go on multiple doctors runs. It even includes their own private phone, complete with real ring-tones. 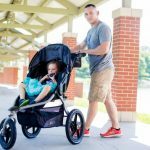 Got kids? 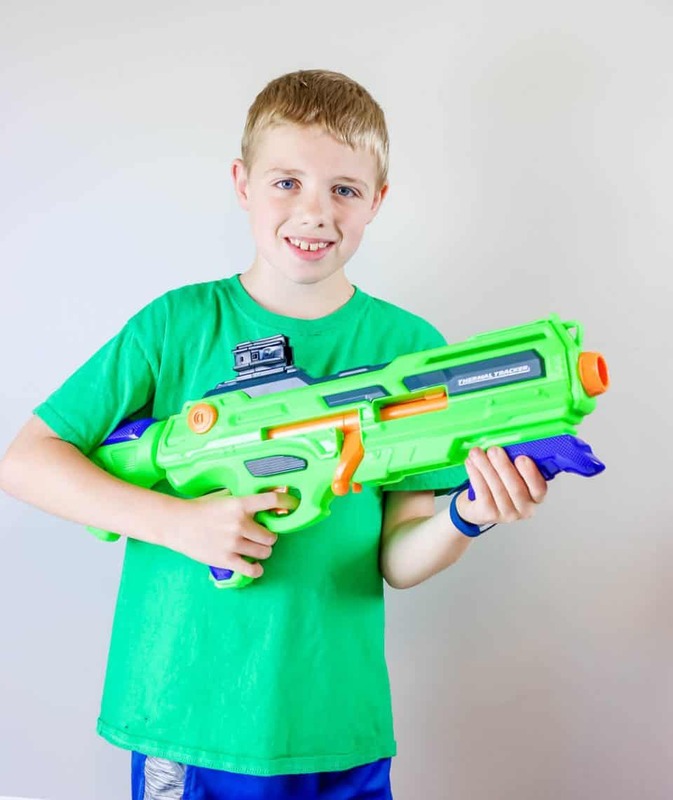 Then you definitely need some Kidzlane Infrared Laser Tag game time. Indoor or outdoor play, each player can choose to go on a solo mission or team up with a partner. Lights, realistic shooting sounds, and even a "scoring" system built in so you know when you have been tagged. Hours of fun awaits your lucky kiddos, just be sure to turn out the lights to see all the action! 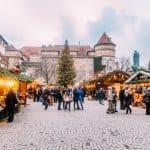 So often during the holiday season, we are inundated by Christmas toys, decorations, and events, frequently forgetting there are other religious holidays celebrated during this time as well. 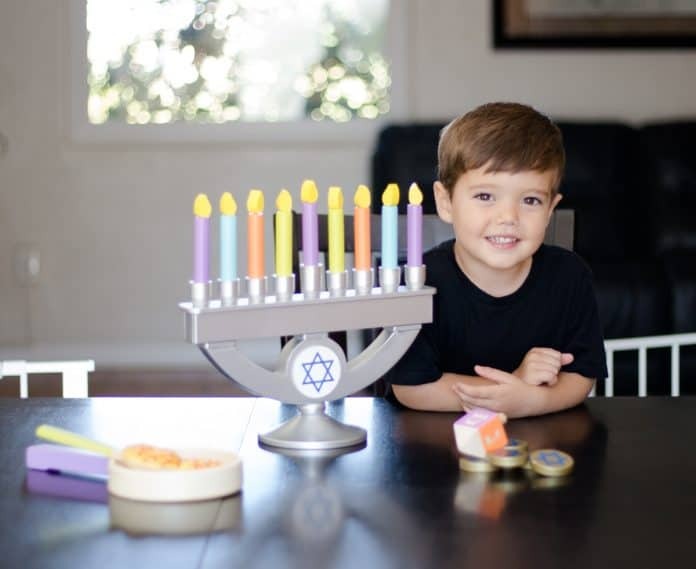 Whether you part of the Jewish faith celebrating Hanukkah this year or simply teaching your children to be open-minded and learn about other holidays and cultures, the Chanukah Set from KidKraft is the perfect educational gift this year. 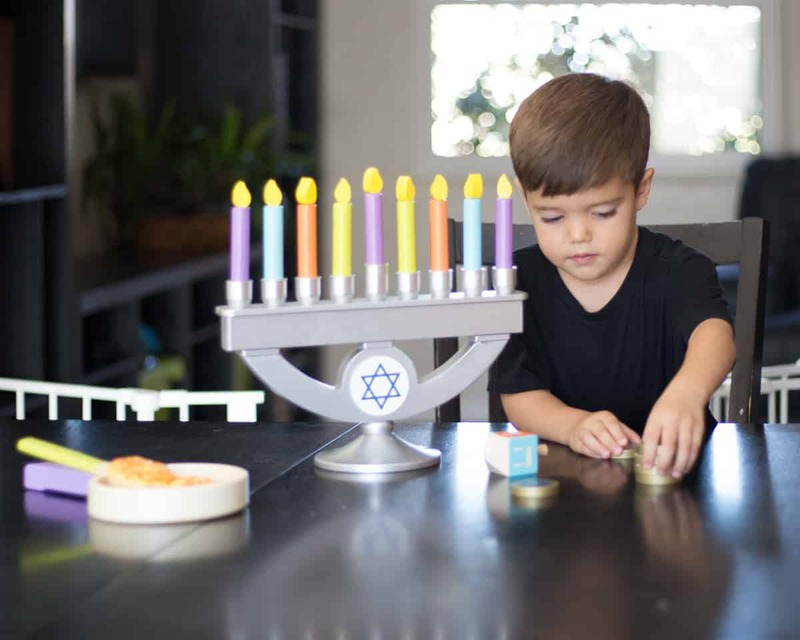 Crafted of durable wood and inviting colors, this child-size, wooden menorah is a safe and fun alternative to real candles in a menorah. Further, with the included dreidel, gold coins, and latkes you can gift your child a fun and interactive cultural playtime activity with this set. 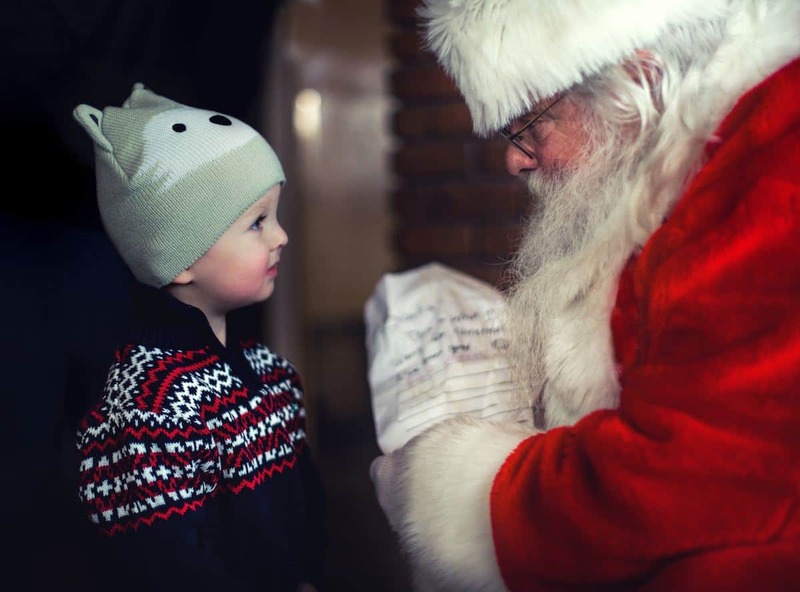 Allowing your child to "play" with his or her own holiday-themed activities teaches that these celebrations are special, religious, and well-loved. 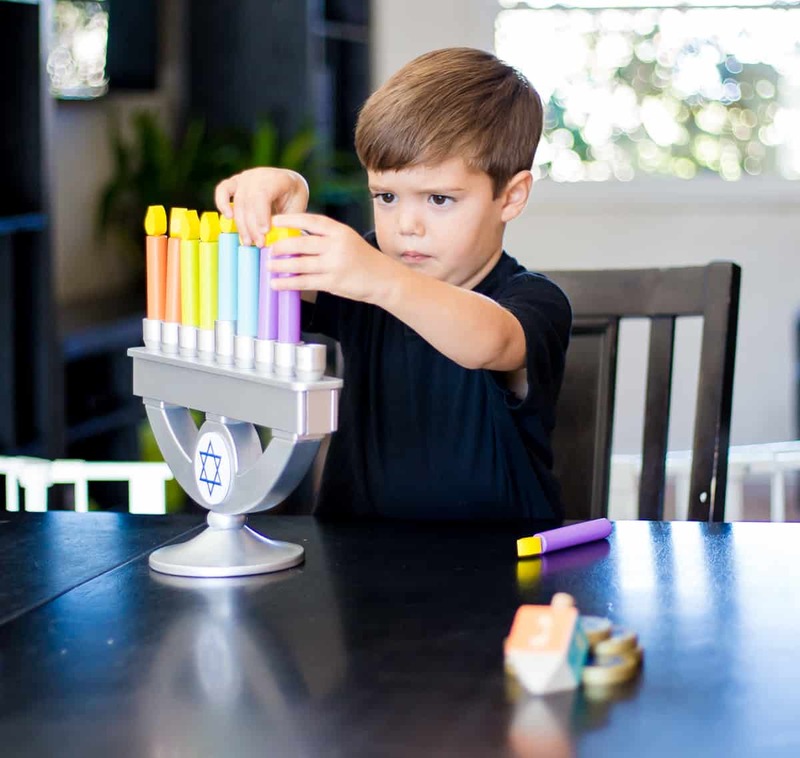 Instill an appreciation in the celebration of Hanukkah from a young age with the Chanukah Set from KidKraft this holiday season. 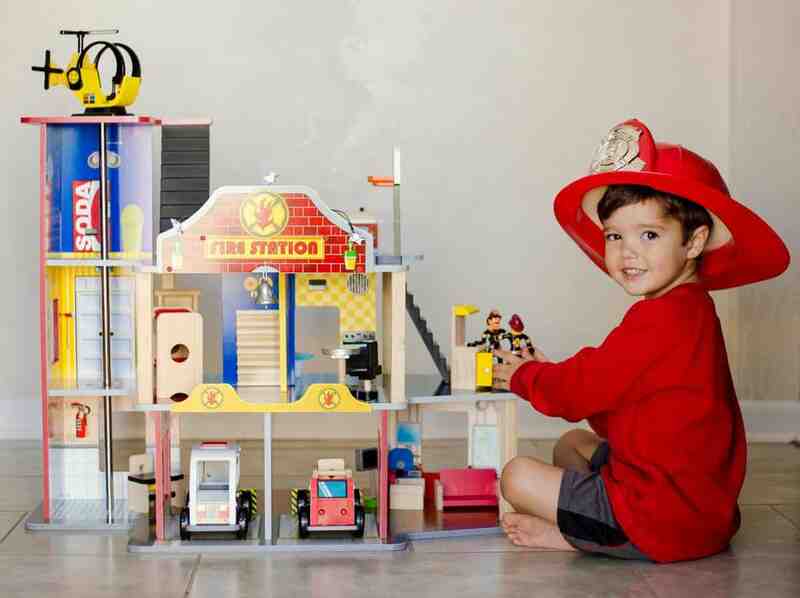 If you love wooden toys as much as we do you are also sure to love the Deluxe Fire Rescue Set from KidKraft. 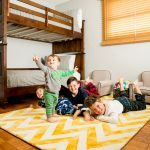 Calling all future fireman, boys and girls alike, KidKraft has created fun high-quality playhouses that are no longer just for girls. 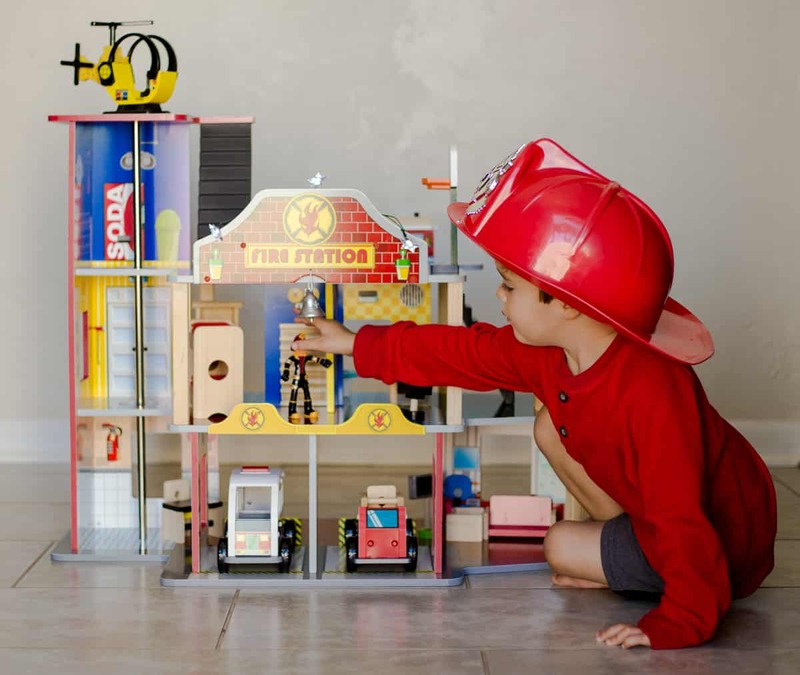 Whether your child loves the 'whir' of the firetrucks siren or sliding down the fire pole to race to a rescue, his or her creativity and imagination are free to run wild with this interactive set ideal for imaginative play. 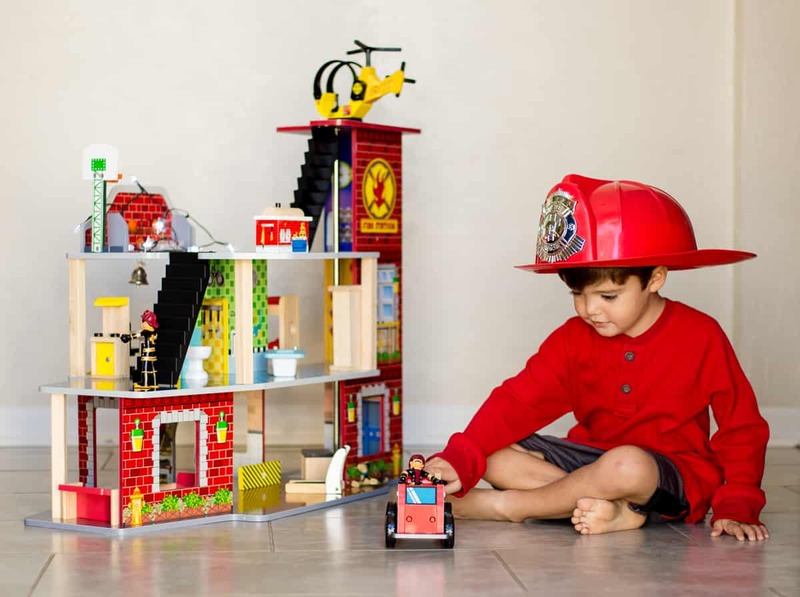 Crafted of safe, durable wooden pieces, the KidKraft Deluxe Fire Rescue Set inspires imaginative play, block play, and develops fine motor skills as your child create scenes right out of their incredibly active imaginations. Perfect for hours of inspiring, educational play, all children are sure to love this playset this holiday season. 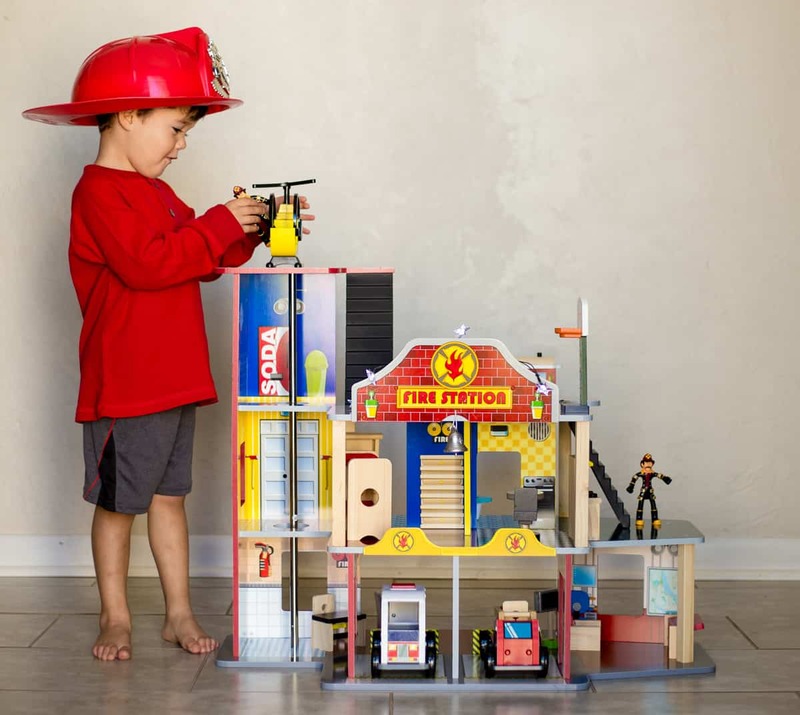 Further, teaching our children to love and be comfortable with first responders is such an important lesson that can be learned early on with this fun extra large fire station. Holidays are filled with fun, family, and friends but weeks off from school can be a bit daunting for both parent and child. 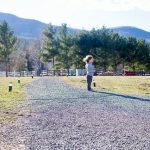 Getting your kid outside (even in the cold) is beneficial for all. Kids need exercise to burn energy, work on motor skills, and cure boredom. 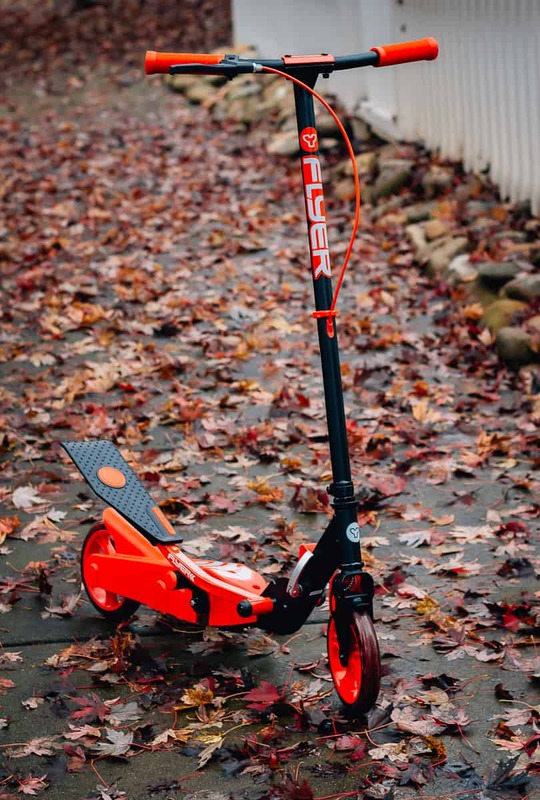 One of our favorite gadgets for doing it all is the Y Flyer. 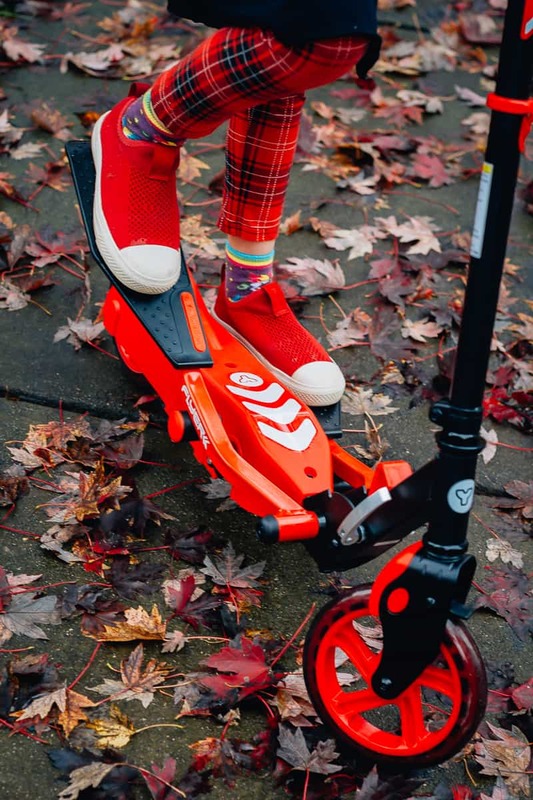 The Y Flyer is complete with super grip foot plates for ultimate control and a quick response handbrake for controlled stopping. 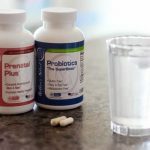 Traveling for the Holidays? Does Santa need to deliver to a different house this year? The frame folds small for easy storage and transport. The Y Flyer isn't just all fun and games: it's backed by science. 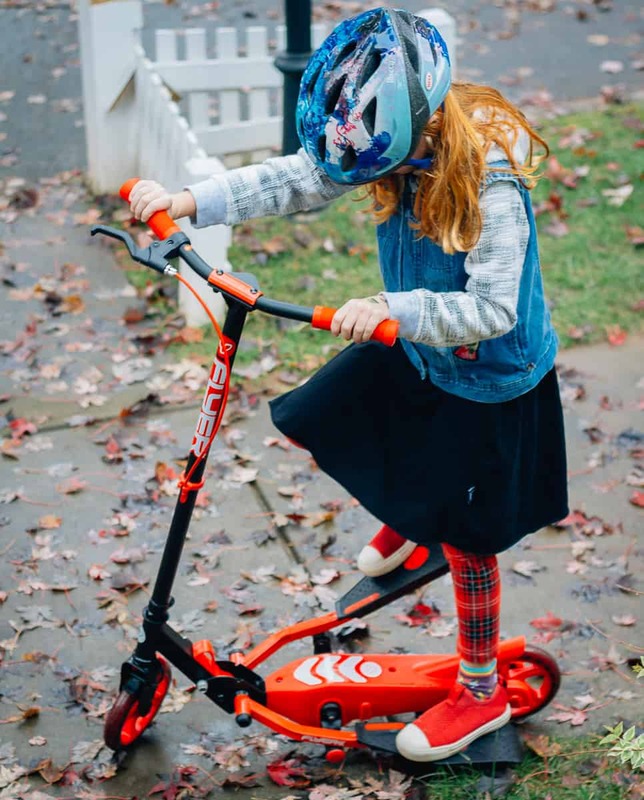 The Y Volution team paired up with Ph.D. researchers at Dublin City University and The University of California to make rides that weren't just fun but also educational. 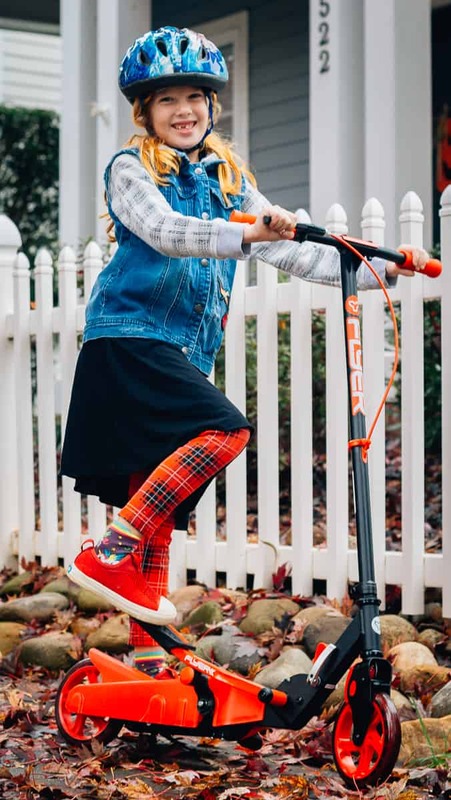 These scooters facilitate motor skills, balance, spatial awareness, coordination, and even emotional development. The Y Flyer is a one of a kind awesome-educational-fun-play-machine that needs to be under your tree this Christmas. 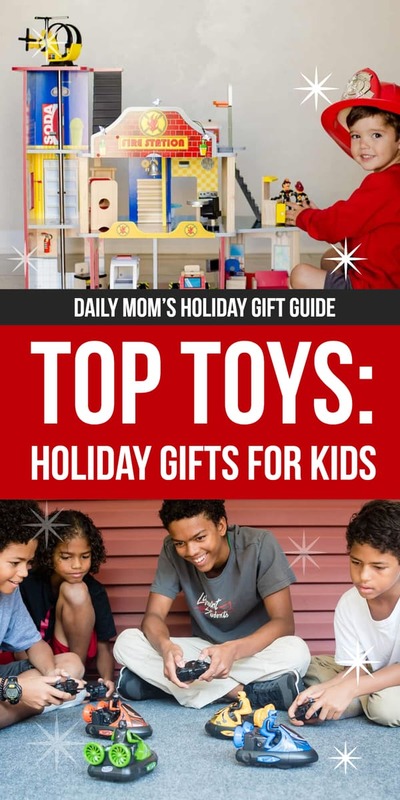 In Santa's workshop, the mission is to create the most fun, innovative, and hands down best toys out there. That is why one of Santa's Favorites is LakeShore Learning because they are high quality, creative, educational and fun toys that any kid will love. 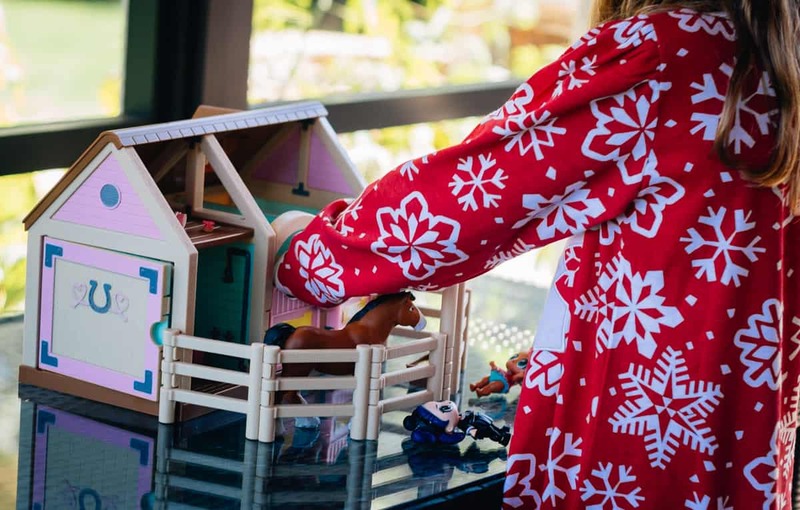 Precious Ponies Playset will be at the top of your horse loving kiddos list. 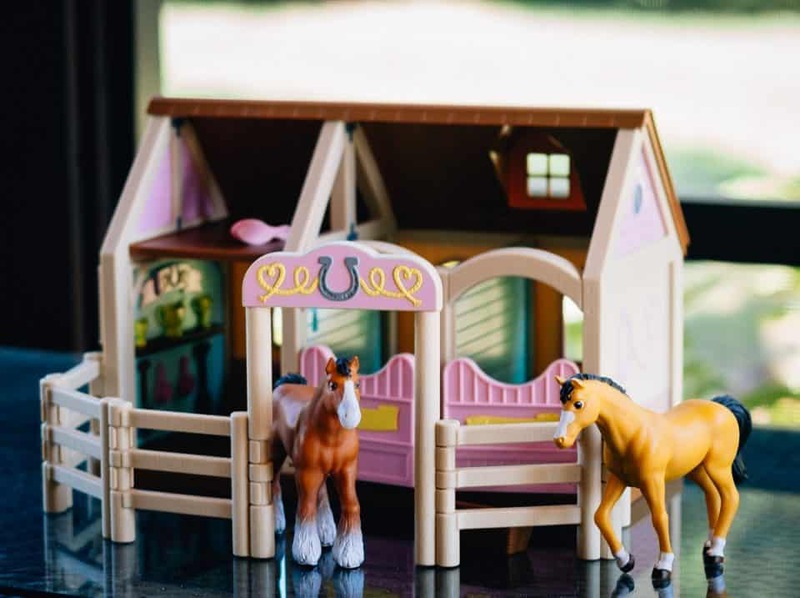 The playset comes with everything you'll need to take care of the two show horses. From feeding troughs to grooming brushes and jumping gates what more could these horses long for? The intricately designed stable has real stalls, with working doors, and a snap-together fence to make this pony show complete. 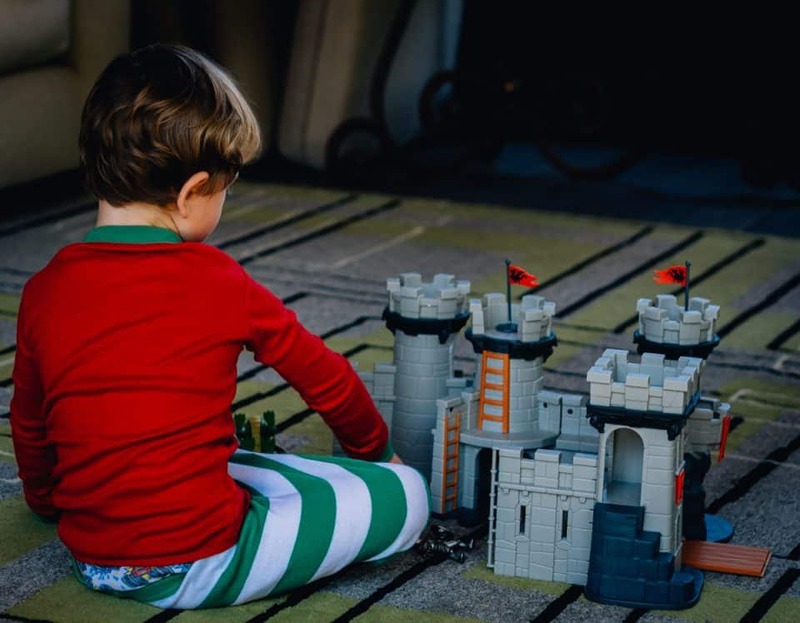 Let their imagination run wild with the Royal Kingdom Adventure Castle that offers endless hours of imaginative play. Dragons, dungeons, kings, and queens. Explore everything from the dragons' lair to the dungeon. 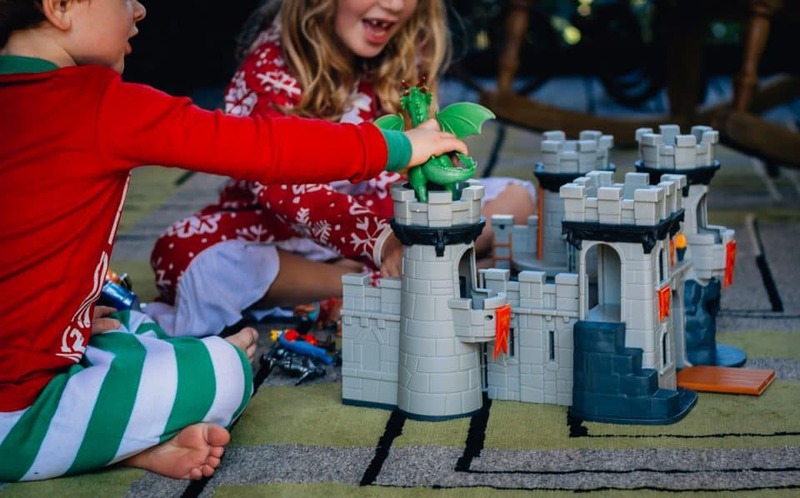 Defend the castle's honor and awake their inner dragon this Christmas. Monster Trucks are the jam this year. 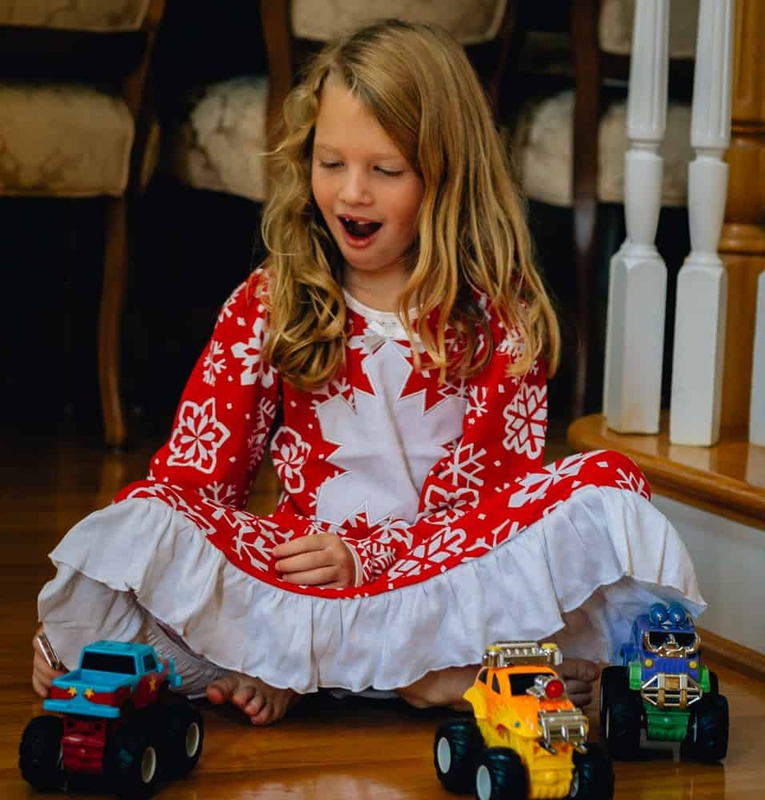 Santa knows the kids in your life will love the Snap & Design Monster Trucks. These big wheels are loaded with fun. Mix and match everything from the accessories, wheels, and truck body for endless combinations. Pull back and zoom to let the adventures begin. Your kids don't have to be fans of NASCAR to love a good old fashion race track! 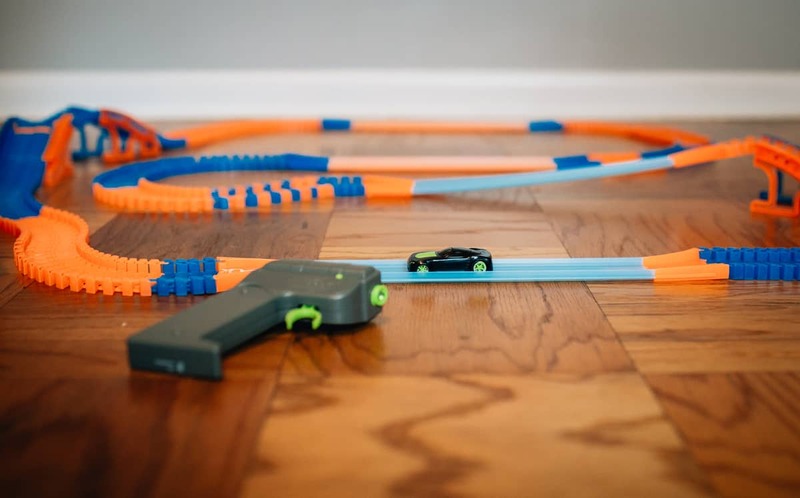 Taking track building and racing cars to the next level this holiday season is the R/C racetrack from Skullduggery. With bright interlocking, manipulative track pieces your child's imagination can run wild as they design the racetrack of their dreams. 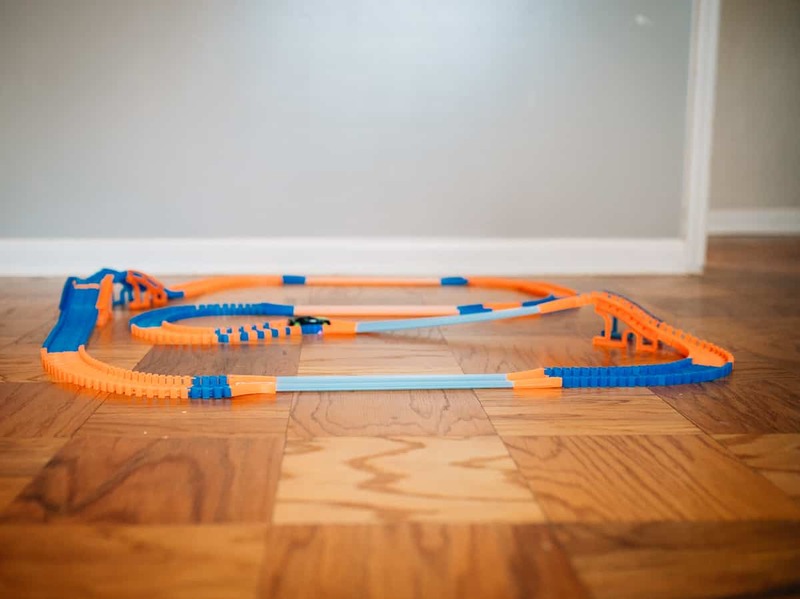 The flexibility of this track is awesome inspiring your little engineers to think outside the box (or the basic, boring circular track) and envision something greater. 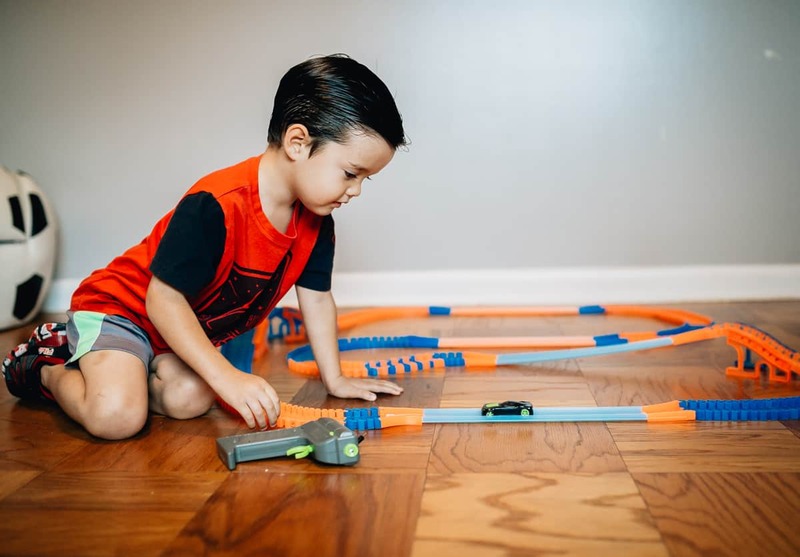 With 2 light-up race cars and a glow-in-the-dark track, your rowdiest racers can test their track-building abilities and fulfill their competitive natures as they zoom around the racetrack in all-out good-natured fun. What holiday season would be complete without a couple of stuffed animals for the kids? Moosh Moosh Plushies are one of the hottest toys of the season. 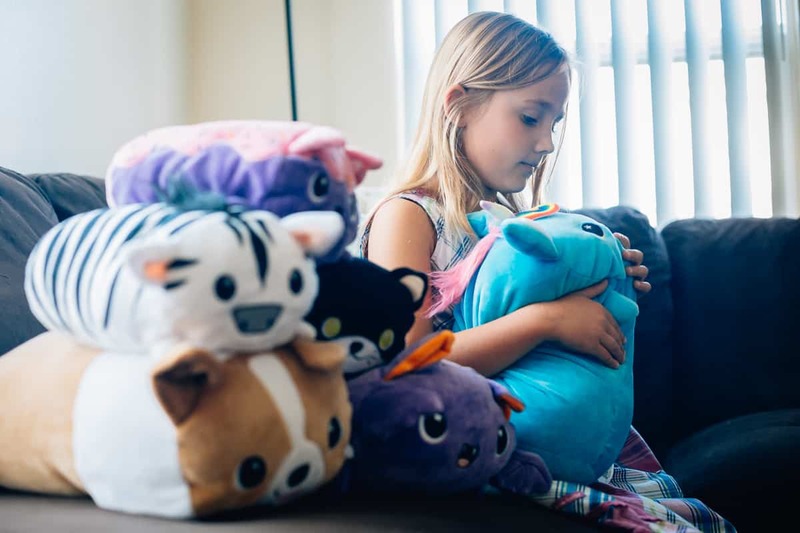 The unbelievable soft, plush, and snuggly stuffed characters are exactly what your child wants for the holidays. 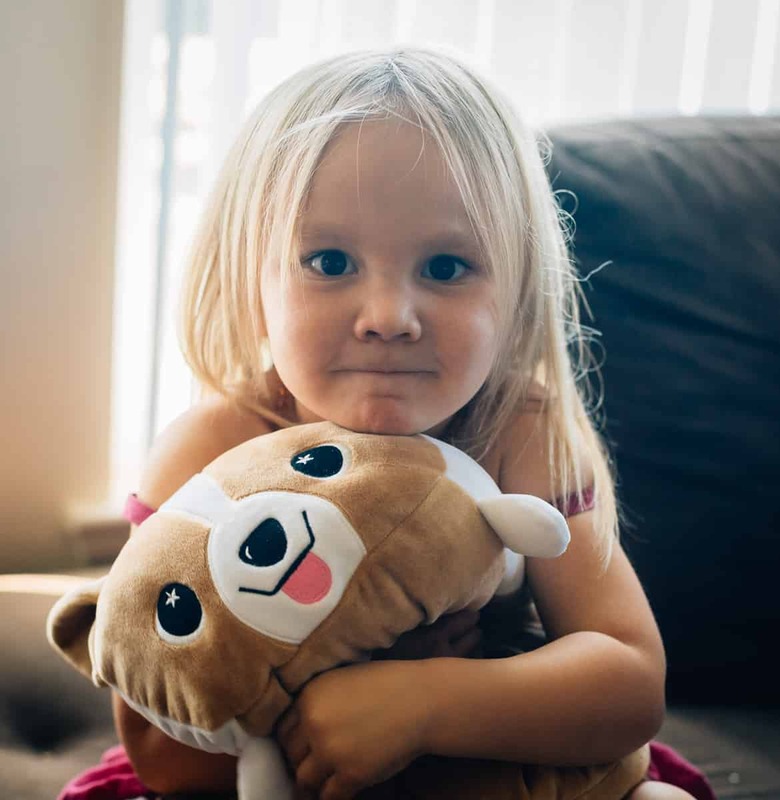 Moosh Moosh Plushies come in three different sizes- keychain sized, medium, and large- so you can get a whole matching set or mix and match their favorite characters. The softness of each Moosh Moosh Plushie is what will have kids (and parents!) loving these toys. They aren't your typical stuffed animal- they are uniquely soft and squishy. 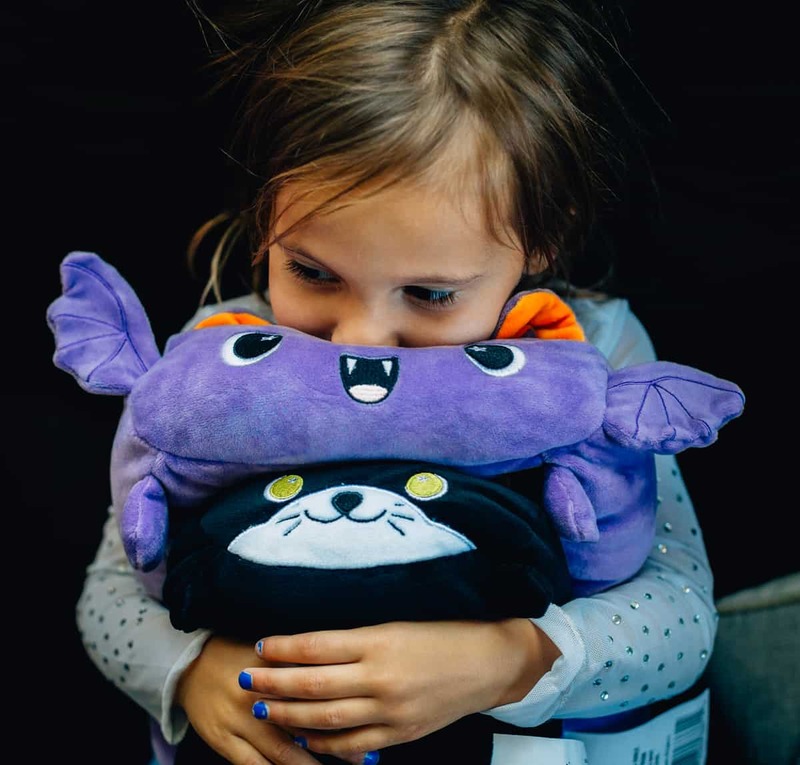 Kids love squeezing them and loving them, and they quickly become one of your child's favorite stuffed animals. 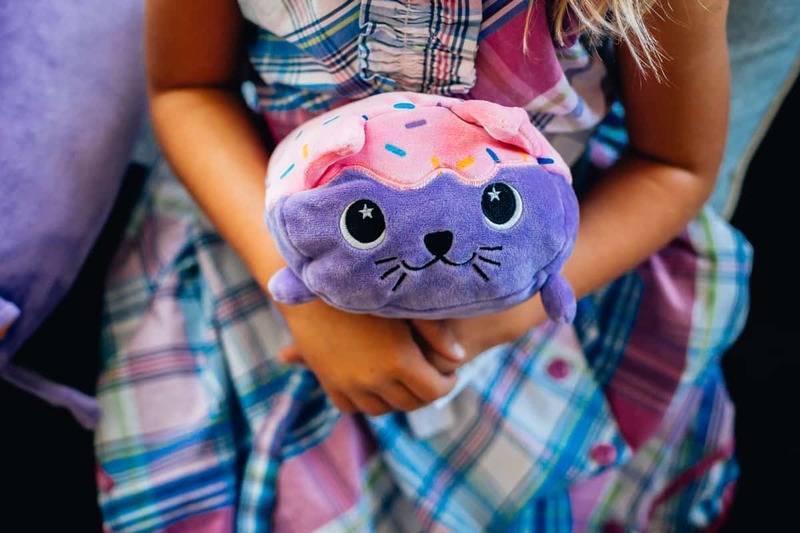 Moosh Moosh Plushies come in several animals and characters- dragon, rainbow unicorn, dogs, kitties, cupcakes, octopus, pigs, and more. Each has a sweet name like Drac, Freckles, Buttons, and Crush. 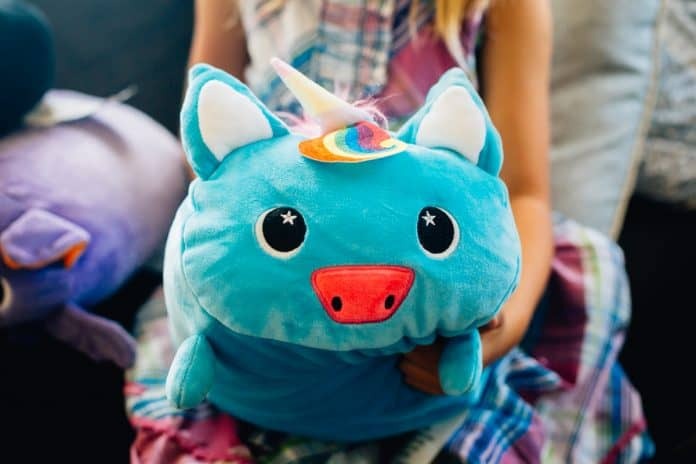 Moosh Moosh Plushies will be hard to resist and you might find your kids wanting to collect them all! Winter break is the perfect times for kids to back away from their screens and use their imagination. 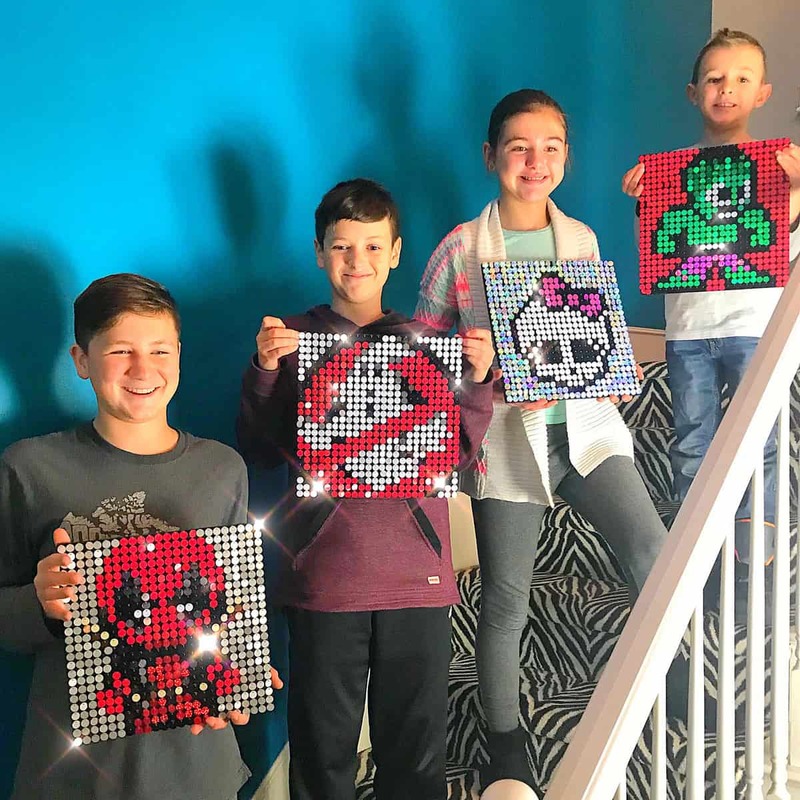 Inspire that creativity by gifting Pix Perfect Pixel Art Kit, the best new creative pixel art platform since Lite Brite (and we all know how much fun that was)! 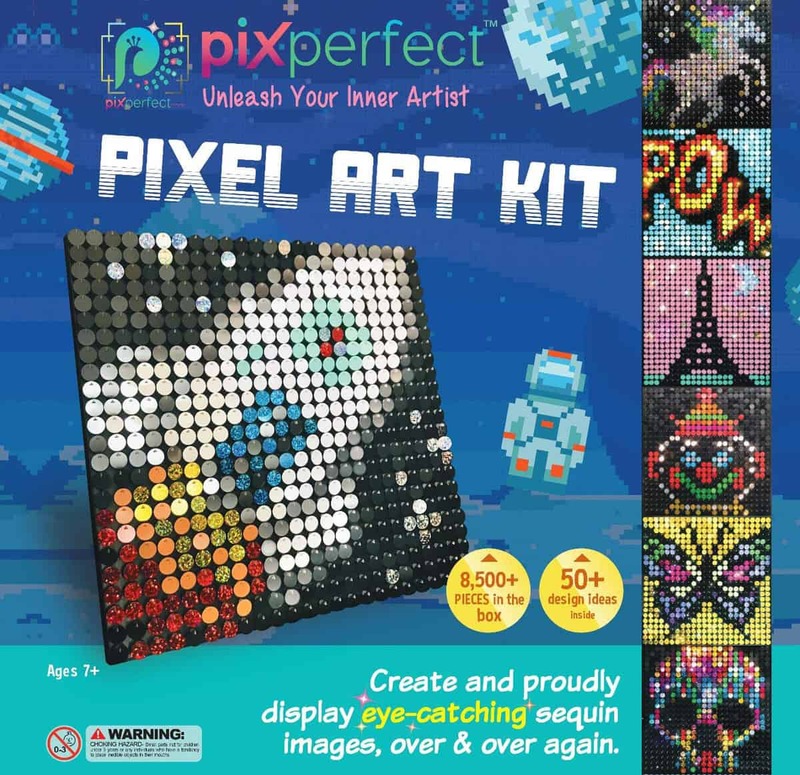 Simply insert the pegs into the panels and hang colorful sequins to create your own Pix Perfect masterpiece. Create characters, logos, 8-bit designs and more! And, when you're ready for a change, our reusable pixels can easily be replaced to create new designs whenever you wish. 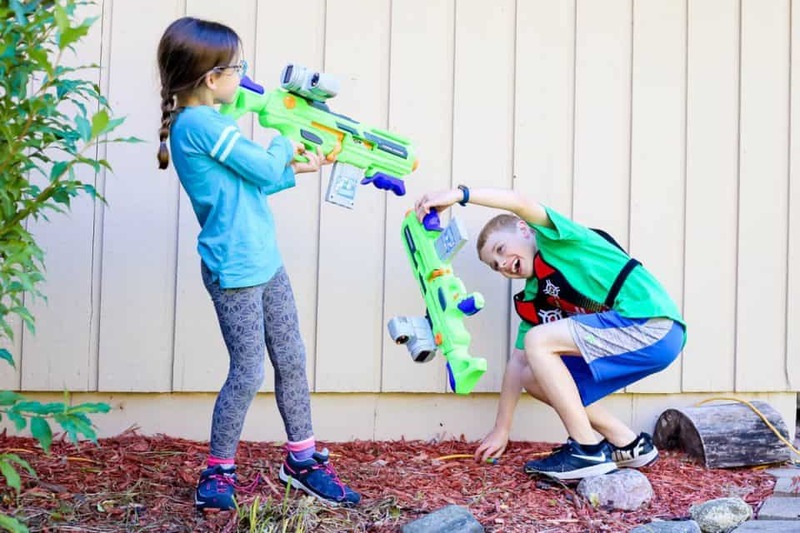 Not only will it allow your kids to create unique works of art, but it also has the added value of encouraging your children to add some creative destruction in their lives by making it easy to take apart their entire project and start over, designing yet another unique piece of art. This is hardly a one and done type of craft. Your kids will be able to create incredible works of art over and over again! 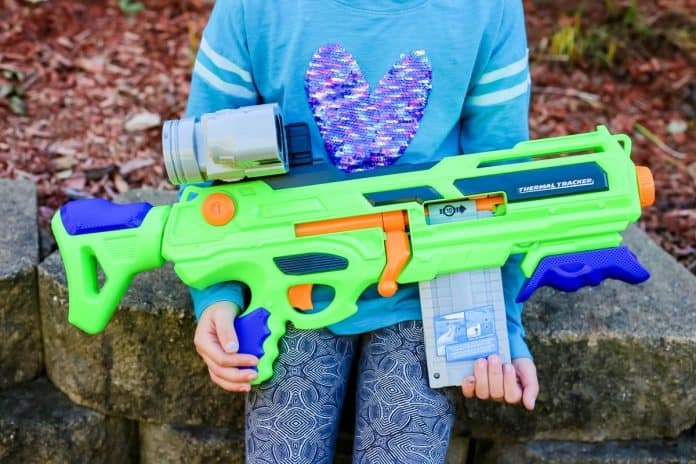 For the active children in your life, there is the Adventure Force Thermal Tracker Action Blaster. 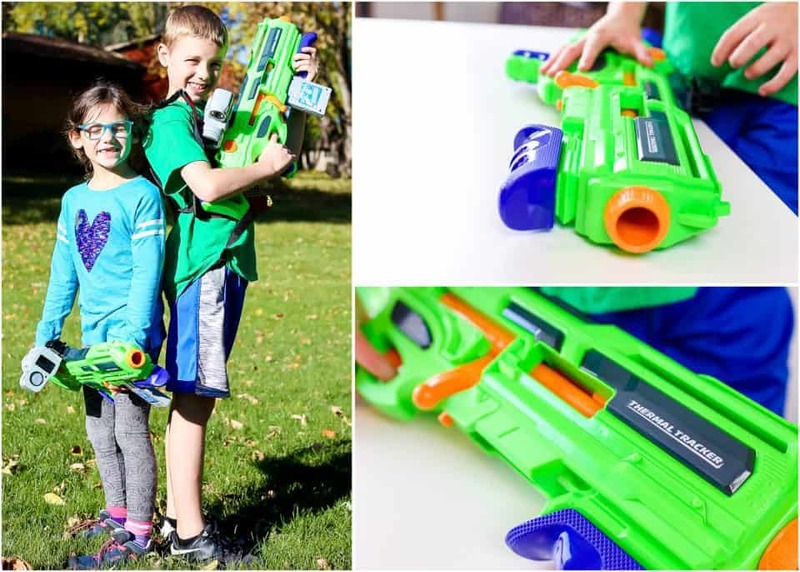 This heat-seeking action toy is a way to bring hide-and-seek to the next level! Geared for ages 8+, this battery-operated blaster can hold up to 10 darts at a time. With a launch distance of 100 feet, the heat activated scope can track down anyone hiding behind trees, under blankets, or on the other side of a door. The chase is half the fun, with the catch being equally as exciting. 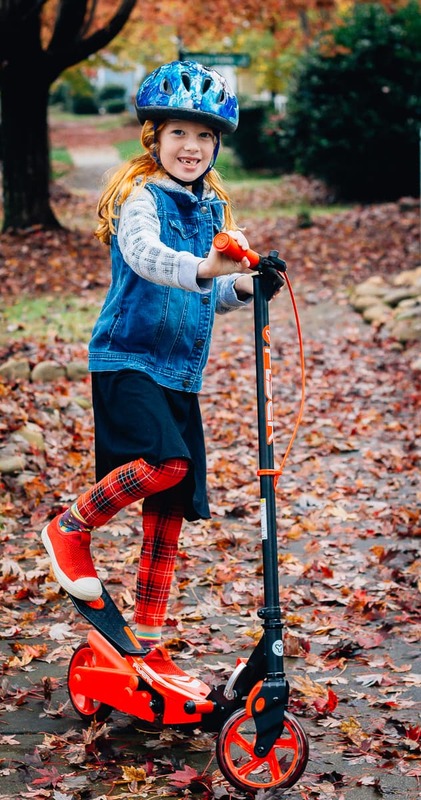 Whether your day is being spent at the beach or a park, a family reunion or a school carnival, your own backyard or heading to see grandparents, the Adventure Force Thermal Tracker can travel anywhere you're going. A dart clip can be easily loaded to feed a total of 10 darts at a time, maintaining the ability to shoot long-distance. Each of the included foam darts features soft rubber tips for safe and fun play. Players will know when they've been caught, but will never be physically injured. Also included are the scope, rail adapter, and 20 darts. Get one for someone you love, and add a second one to your cart so that you don't miss out on the fun! After all, isn't it better to share in the joy you can bring others. Enjoy! Do you remember your first musical jewelry box? The sound of that sweet tune playing as a tiny ballerina spins round and round still brings back all the feels. Well, not much has changed since we were kids. 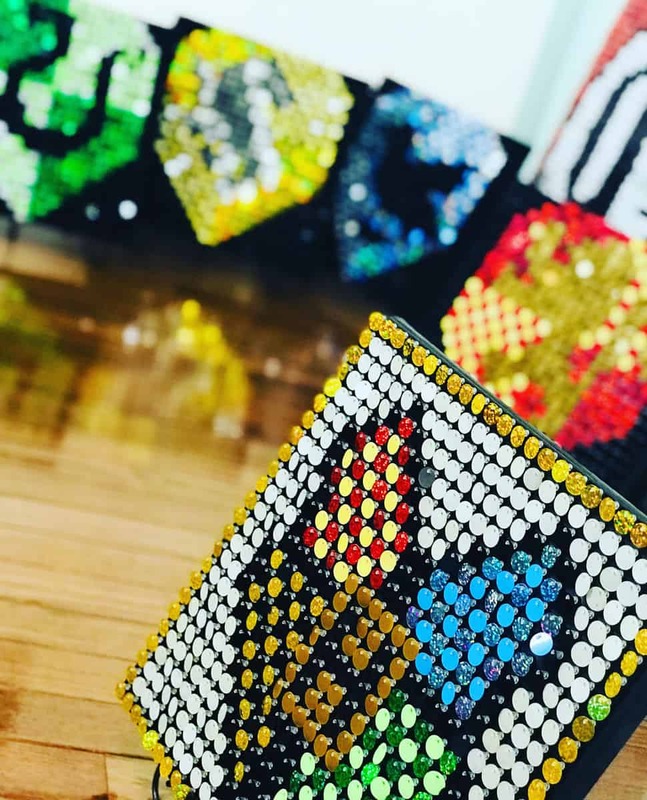 Musical jewelry boxes are still a gifted treasure and we're excited to share that gift with our little girls this Christmas. 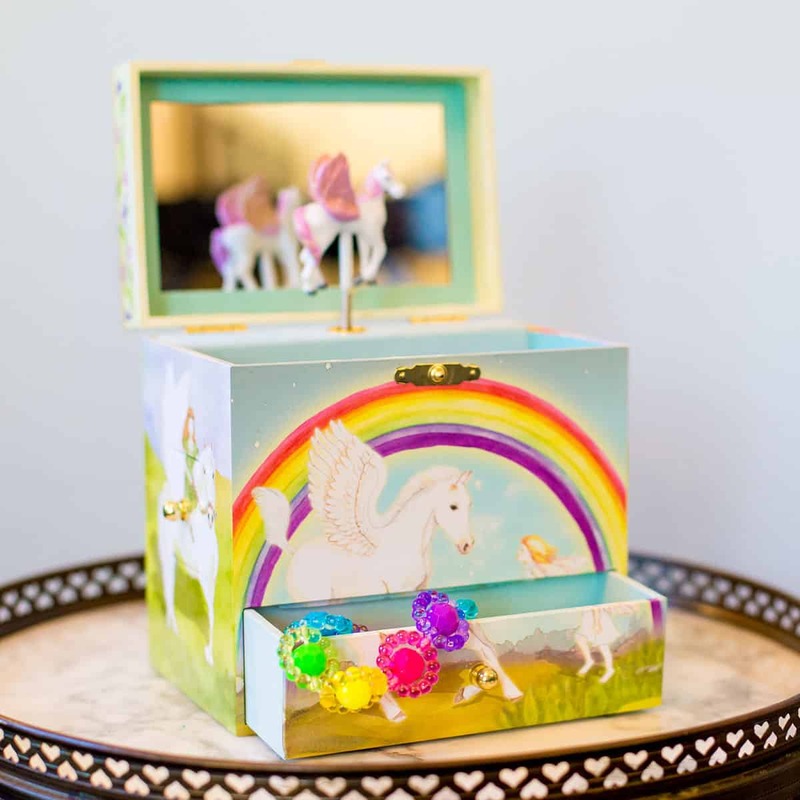 Enchantments musical treasure boxes are gifts designed in love and created to last a lifetime. 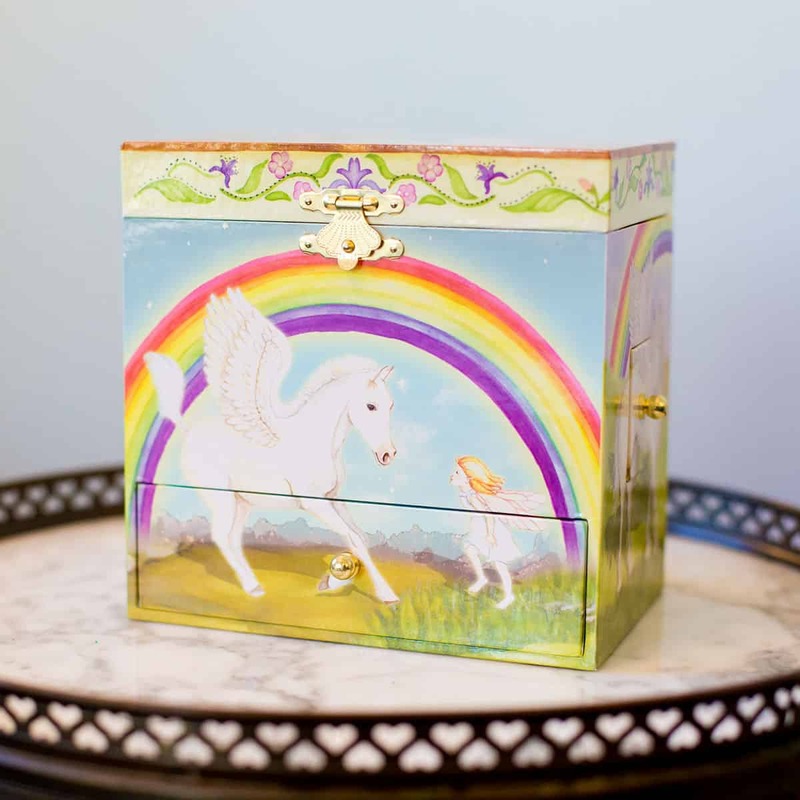 In particular, we especially love the Pegasus Musical Treasure Box. Your child can tuck away their tiny treasures in one of the four secret drawers. And, they can dance along while the little Pegasus figurine moves with the clear, bright melody that rings out. 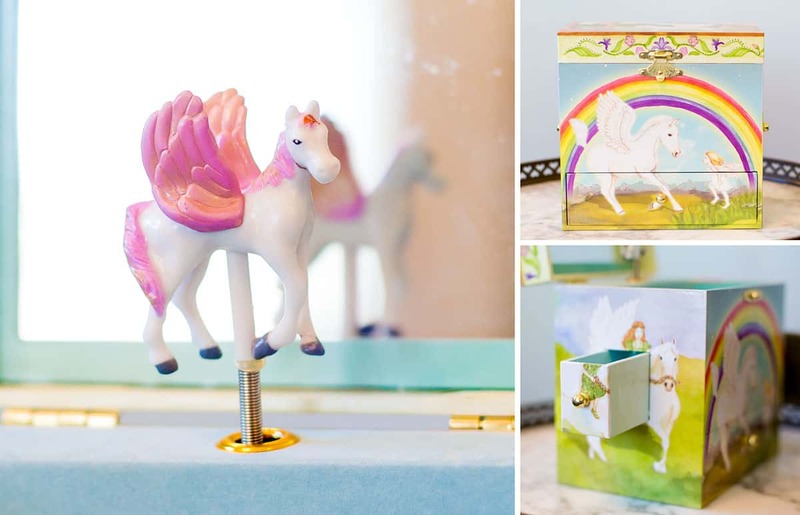 With unique watercolor designs of a gorgeous white Pegasus' and their fairy friends on a painted rainbow background, this beautiful music box adds a delightful accent to any child’s room and will be treasured for many years to come. It is the perfect birthday or holiday gift for a little fairytale lover! 3-2-1-Blastoff! Next year, NASA will celebrate the 50th Anniversary Of Man's 1st Walk On The Moon. 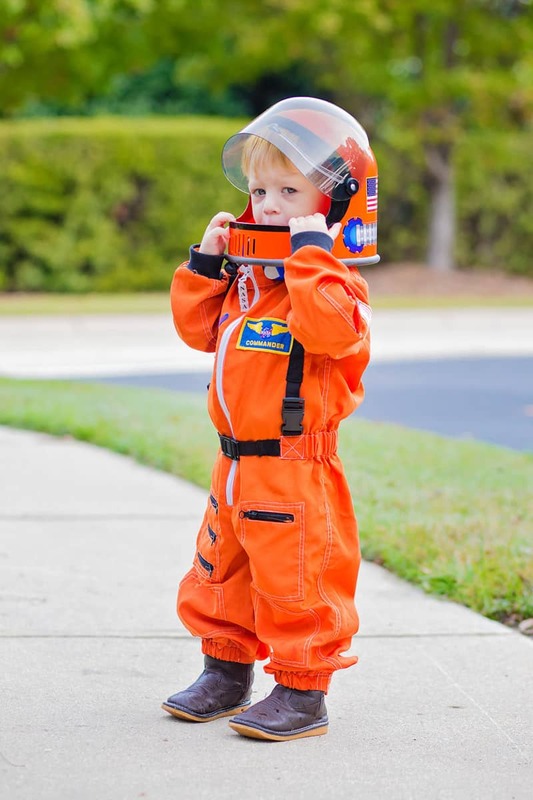 As such, this Christmas is the perfect time to educate your little astronauts about space exploration and Apollo 11, all while dressing up like a real astronaut! 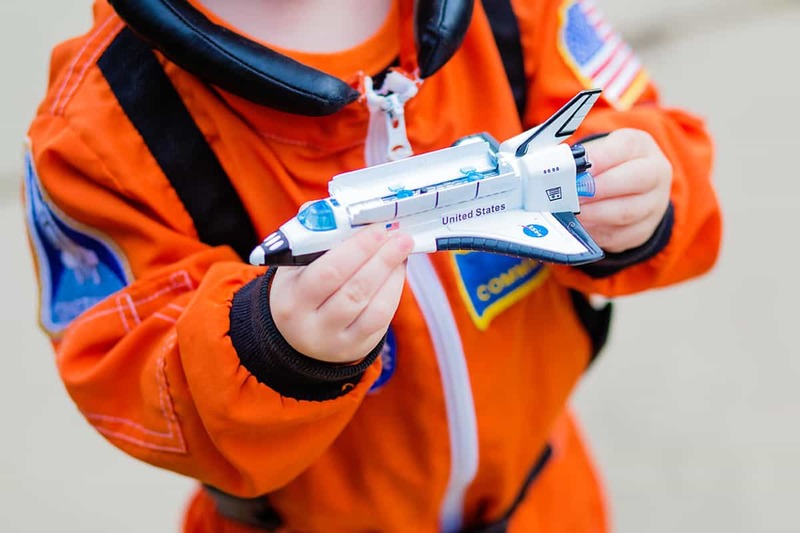 Special Edition Apollo 11 Space Gear from Aeromax Toys includes an adorable soft foam Astronauts Space Suit (including a helmet), Flight Jacket and toy spaceships. 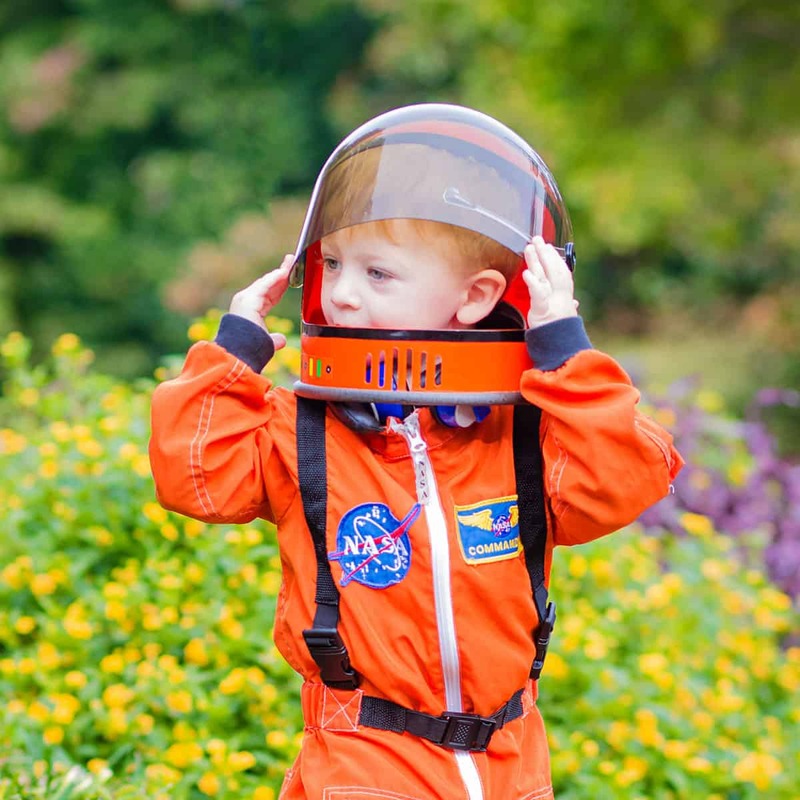 Space flight is easier than ever with this tiny space traveler sized Astronaut Suit and Helmet; and they are so authentic that family members are certain to ask where you got it. The suit includes Official NASA patches, including a special commander patch and Official embroidered NASA cap. 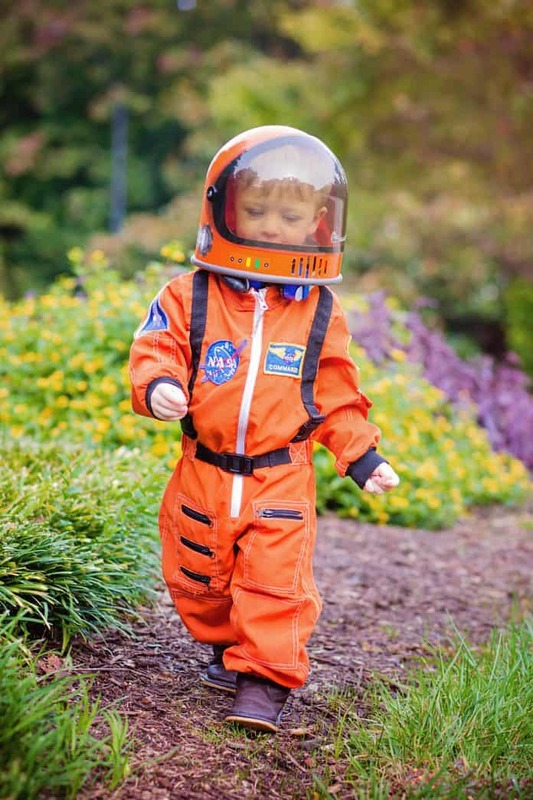 The space helmet is a little smaller for younger kids to enjoy, but offers rich details, like a moving visor, NASA logo and appealing decorations that inspire kids to dream big. For added fun, toss this die-cast pull-back space shuttle into your kid's stocking. Complete with working cargo bay doors, flashing lights, a realistic countdown and blast off sounds, your future astronaut will have fun for hours. 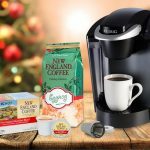 Now that you have perused our Top Toys of 2018, go ahead and add them to your cart and check out.You can thank us later while you sit back, sip your coffee, and enjoy the rest of your pre-holiday days stress-free because your holiday shopping is done.